This one-week offer takes you through Kenya’s most popular game viewing locations. 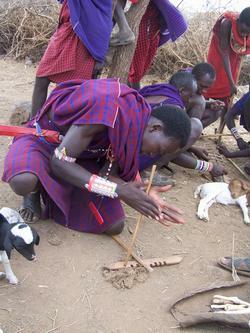 The tour starts you off to Samburu, a wildlife haven with a scenic semi-arid landscape. Then to the Aberdares where you find icy rivers, spectacular waterfalls and rain forests. 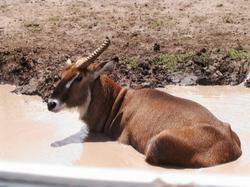 Here elephants, buffalos and other animals visit you at the floodlit waterholes of The Ark. On to Lake Nakuru whose claim to fame is anchored on its flamingo's and the over 400 species of birds found here. This soda lake on the floor of the rift valley is host to millions of flamingos and an important refuge for endangered species- particularly the Rothschild Giraffe and the black and white rhino. The tour rounds you off at Maasai Mara, Kenya’s most famous and finest game sanctuary and the site of one of the most spectacular phenomenon of the natural world -the Great Annual Wildebeest Migration. Fêted as one of the “New Seven Wonders of the World”, the Mara offers wildlife in such variety and abundance that it is difficult to believe. are the predators of the savanna. 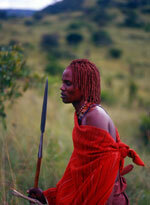 The famous Maasai tribesmen live within the dispersal area of the game reserve. After breakfast checkout and head to Outspan hotel where you will have lunch at 1230 hrs. Later in the afternoon transfer to Treetops Lodge. Aberdares National Park has a diverse topography that includes icy rivers, spectacular waterfalls and rain forests. The flora and fauna is quite unique and is not found elsewhere in the country, expect on Mount Kenya. Leopard, elephant, serval, waterbuck, reedbuck, dikdik, rhino and the rare bongo can all be found here. You are sure to see elephants, buffalos and some other animals at the floodlit waterholes of Treetops Lodge. After breakfast transfer to Outspan hotel and drive to Lake Nakuru in time for lunch at Sarova Lion Hill Lodge. Afternoon game drive in the park. Lake Nakuru's claim to fame is anchored on its flamingo's and the over 400 species of birds found here. The lake itself is a soda lake on the floor of the rift valley. The sight of the at times millions of flamingos is quite spectacular. From a distance the lake appears ringed in pink. The Lake has also earned a reputation as an important haven for endangered species- particularly the Rothschild Giraffe and the black and white rhino. Lions, waterbuck, buffalo and baboons are all residents here. 0730 hrs - After breakfast drive to Maasai Mara via the Great Rift Valley to arrive at Maasai Mara in time for lunch at Mara Sopa Lodge / Mara Simba. 1530 hrs- go for an afternoon game drive till dusk. The Mara offers wildlife in such variety and abundance that it is difficult to believe: over 450 species of animals have been recorded here. You will easily see lions, rhinos, hippos, crocodiles, giraffe, wildebeests, zebras, buffalo, warthogs, hyenas, jackals, wild dogs, buffalo, leopard, many kinds of antelopes and elephant. It is in the Mara that perhaps the most spectacular event of the natural world takes place. This is the annual migration of millions of wildebeest and zebra from the Serengeti (Tanzania) in search of water and pasture. Following on their heels are the predators of the savanna- lion, cheetah, wild dog, jackal, hyena and vultures.